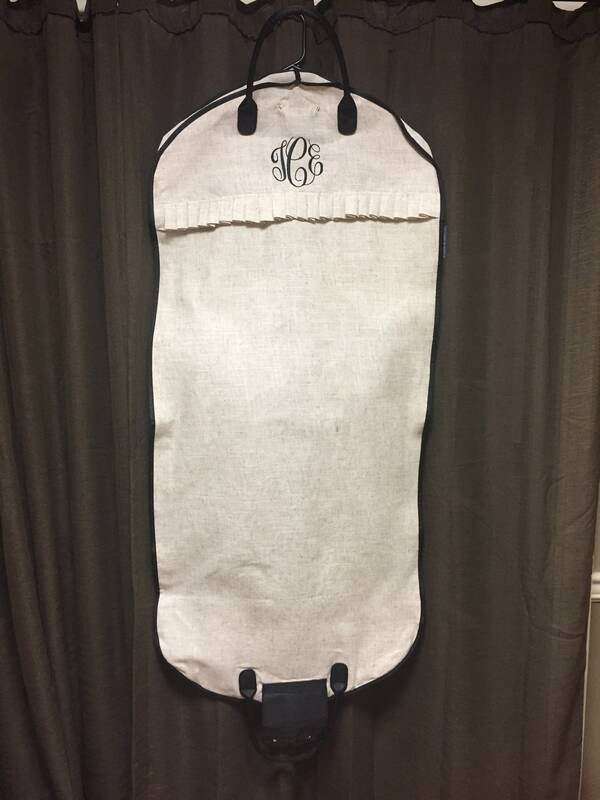 Your clothing will stay nice and neat when you travel with your duds in our Linen Garment Bag. Bag has black accents, inluding handles, snap flap closure, piping and a front center zipper. 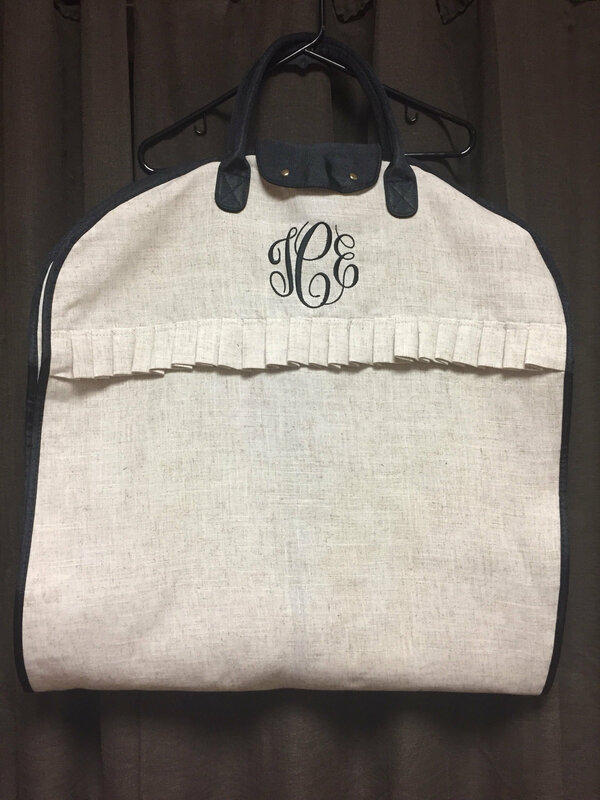 There's also a cute pleated linen ruffle on the outside! An elasitc loop keeps all of your hangers neatly together. 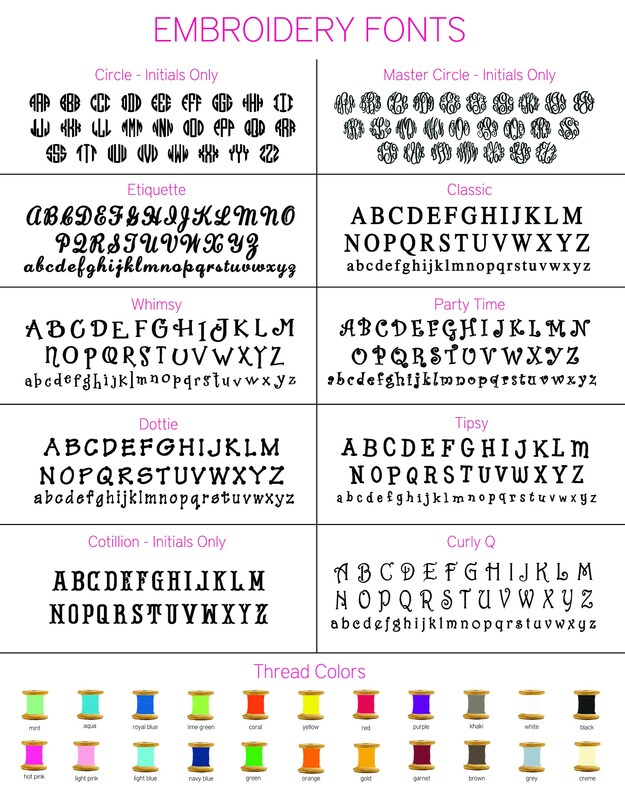 A monogram is included so be sure to let me know how you'd like it personalized by leaving a note at check-out or by sending a convo!